Here are my favorite travel and digital nomad tools, services, gear, and even books. This page contains affiliate links, which means I may make a small commission if you choose to purchase something through the link. I only recommend products and services I use and LOVE and think you’ll love too. Freshbooks (FREE TRIAL) – The ultimate digital nomad tool. My life would be a complete mess without Freshbooks cloud accounting software. I love that I can do invoicing, payments, time tracking, and expenses tracking all in one place. PLUS: I save a ton of money in fees with access to the elusive “PayPal Business” payment option (only with Freshbooks!) that charges a FLAT $.50 FEE. Start your 30-day free trial. The Orange Circle Studio Do It All planner – I’m not big on online project management tools but I love keeping track of deadlines on paper. This planner is different from all the other ones I saw when I was shopping because it spreads the week out laterally instead of stacking days on top of each other or only offering a monthly view. 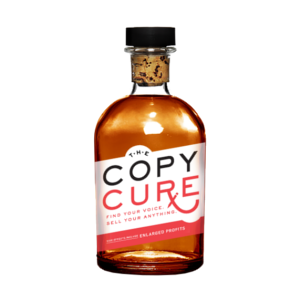 The Copy Cure – This is an amazing online copywriting course from Marie Forleo and Laura Belgray. You can start off with the free opt-in version and graduate to the paid one when you’re ready. I did the full course and came away with so much. It’s taught through video and there are printouts that go along with each lesson. Talkspace ($45 OFF FIRST MONTH) – I use Talkspace’s text therapy service to talk with a licensed therapist at any time of the day, any day I want. I’ve been using Talkspace for over 7 months and feel my therapist has been instrumental in helping me get out of rough patches when I struggle with depression and anxiety symptoms. Check out my full Talkspace review for more details. Use my code mishvo45 for $45 off your first month. 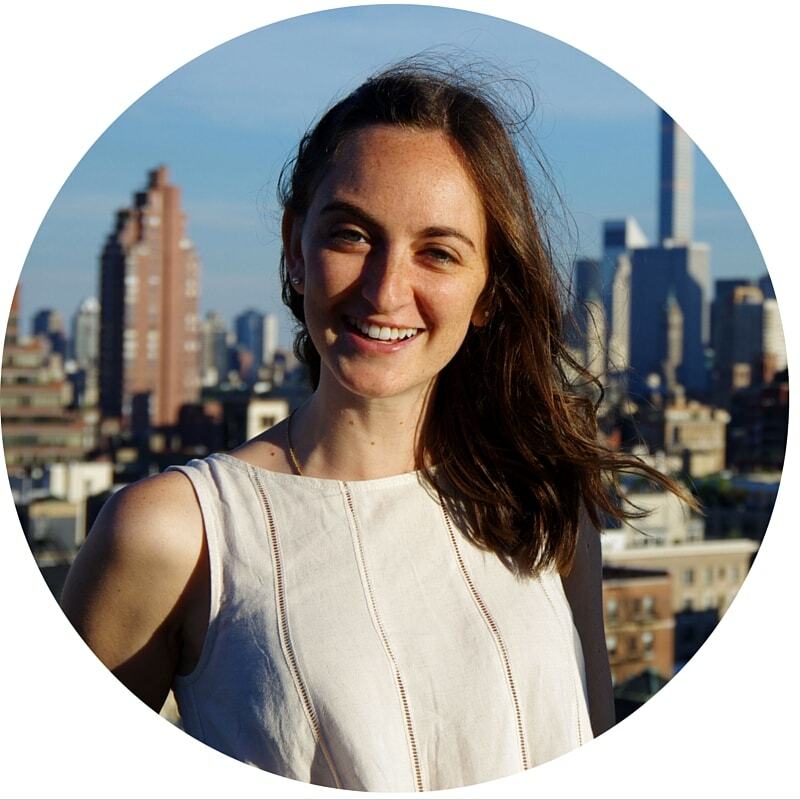 Couchsurfing (FREE) – I love CS for staving off loneliness by connecting with locals while traveling solo. Just make sure you establish ground rules for yourself to stay safe and comfortable whilst surfing. For example, I’ll only stay with female hosts while traveling alone. How to Start a Blog – I wrote up this post for newbie bloggers looking to get started. I go through how to pick a domain, set up self-hosting, connect to WordPress, and more. SiteGround web hosting ($96 OFF YOUR FIRST YEAR OF HOSTING) – SiteGround is incredible for web hosting. I started with their StartUp plan but soon upgraded to a GrowBig account so I could host multiple domains. Their customer service is literally the best customer service I have encountered with any company ever. If you’re starting a blog and looking for the best host, I can’t recommend them highly enough. Themeforest – You can find great blog themes here with some digging. I find these options are sometimes better than Make because the themes are speedier (better for SEO!) and simpler if you don’t feel like fussing around with the design a ton. Canva (FREE) – If like me, you don’t have the Adobe Creative Suite, Canva is your answer to all things graphic design. I make all of my Pinterest pins there, and use it for media kits, infographics, and even one-page resumes. The site is generally free unless you want certain upgrades. 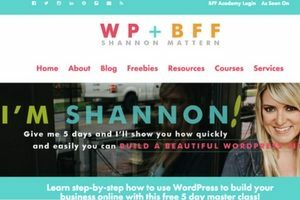 5-day WordPress Master Class (FREE) – Learn how to build a website for your business with this free five-day class. Every day you’ll receive a video in which Shannon walks you through step-by-step how to set up your site from zero to hero. You’ll use the same blog theme I use (Make), but the free version. Making Sense of Affiliate Marketing – If you’re interested in monetizing your blog, affiliate marketing is a great place to start. It’s no get-rich-quick scheme, but with time and effort, you can make passive income from your blog using the tips from Michelle Schroeder-Gardner. AKA the woman who makes $50,000 a month in affiliate commissions! Full review coming soon. Flickr – I upload all of my photos to albums on Flickr instead of keeping them on my hard drive to preserve my limited computer space for other files and processes. Buffer Social Media Manager – I use the free version of Buffer to manage my Twitter account. It’s a great way to shorten Twitter links (I shorten mine to bit.ly’s), schedule tweets, and see which tweets perform better than others. The free version is limited of course so you might even want their paid one. My favorite place to buy travel and outdoorsy gear is REI. I feel like a kid in a candy store when I go there, although you can probably get better deals shopping from them online. Amazon Kindle – Yo I just recently got a Kindle and it has changed my life! I found I was often traveling in places where it was hard to get my hands on an English book, let alone a good one. Kindle has revolutionized the reading game for me. Not only do I now have access to any book in the world no matter where I am in the world, but I can also get books for free through my local library. Resistance band – Another huge thing that has revolutionized my digital nomad life. It’s lightweight and so small but makes a huge difference – now I can do strength training while on the road. I’m not sure which brand resistance band I got (just got the lowest resistance at Walmart) but it looks like this one with the handles. Patagonia Nano Puff Jacket – Lightweight and compressible but crazy warm. The Nano Puff rolls up into its own pocket so it’s perfect for an on-the-go lifestyle. You can read my full review of the Nano Puff jacket here. Mack’s Moldable Silicone Earplugs – You don’t have to settle for those useless foam earplugs they give you on the airplane. These silicone ones mold to your ear and create a formidable sound barrier. I bring these everywhere I go. You never know when you’ll need to block out street noise or construction or a neighbor’s loud music to get a good night’s rest. Chaco Classic Z2 Sandals – These are my go-to sandals for warm weather travel. They aren’t the cutest, I’ll admit, but they are damn sturdy and will get you through mud treks and waterfall explorations alike. Check out my post where I compared the single strapped ones to the double strapped Chacos. Gregory Jade 60 backpack – It looks like they’ve discontinued the exact style of my Gregory backpack, but they have a few others that are similar. I chose a 60-liter pack because it’s small enough for overhead storage on planes but big enough for packing for winter travel. I love that this pack has both top and front-loading options. It’s comfortable and easy and most importantly I can adjust the straps and waist belt on my XS version to my tiny body. Klean Kanteen water bottle – I love my turquoise stainless steel 20-ounce insulated Klean Kanteen water bottle with the loop cap. I carry this bottle in my bag in everyday American life and bring it along on international trips. The insulated version is great for both hot and cold drinks. Amazon recommends buying one of those scrubber sticks so you can clean the water bottle easily by hand and I think that’s a great idea, but you can also put it in the dishwasher. BookBook laptop case – No piece of travel gear has gotten me as many compliments as my laptop case that disguises my computer as a vintage book. It’s a bit pricey but it’s crush resistant and just really cool looking. Camouflaging my laptop as a book also deters theft. Check out my full write up here. Lonely Planet Guidebooks – I can’t figure out why anyone would use a different travel guidebook. Lonely Planet books are super easy to use. I love how they list the top experiences for each location in the front of the book. I’m all about seeing things from the “big picture” and I feel other guidebooks sort of get lost in the details whereas with Lonely Planet, you can find the best stuff (or best-fit-for-you stuff) easily. A novel inspired by true events, Roberts depicts his experience as an Australian fugitive who steals away to Bombay to seek refuge. He lives the slums and sets up a clinic to treat a cholera epidemic; becomes involved in the black market; is tortured in prison in India; and survives a dangerous journey to Afghanistan with the mafia. The book is about 1000 pages long and I’ll be honest – you can skip 100 pages around the 500 page mark and not be lost (that’s what I did). Don’t be fooled by the content; the book reads like poetry sometimes and constantly imparts the wisdoms of a well-worn traveler. Further, it will bring parts of India to life that you’ve never imagined before. You’ve seen the Disney movie but have you ever read the book that started it all? Lewis Carroll is one wacky guy and this is one wacky story that will take you down the rabbit hole and into the wonderful and nonsensical world of Wonderland. Watch for moments of wisdom and insight – there are more than a few teaching moments scattered throughout Alice’s journey. Into the Wild is the true story of Chris McCandless, a college grad who burns all of his money and abandons his family and possessions in favor of a life of solitude living off the land. He travels the States for two years before making his final journey into the wilderness of Alaska, where he ends up living in an abandoned school bus. The tragic yet true story of the failed 1996 Everest expedition that claimed 8 climbers lives in one 24 hour period. Krakauer, an experienced mountaineer, accompanied Rob Hall’s team up the mountain, but most never made it back down. This is the first person account of that tale, ridden with hypoxia, frostbite, and the flaws of human pride. Liz leaves her marriage and spends a year living abroad in Italy, India, and Indonesia to rediscover herself. I do remember liking the book MUCH better than the movie, but I still have some issues with the portrayal of travel as a magic pill (it’s just not). Entertaining and wanderlust-inducing nonetheless. I feel like Wild is what Eat Pray Love wants to be. Cheryl had been dabbling in heroin and promiscuity when her mother suddenly died of cancer. She decided to leave her life behind and hike the Pacific Coast Trail. No book will make you want to conquer your demons and fears about being alone in the wild and just take off hiking more than this one. If you’ve been to Peru or are heading to Peru, this book is a must. It’s the true story of a writer who decided to hike the Andes with a colorful, experienced guide. You’ll learn about the history of Peru’s Incan civilization as well as how Machu Picchu was discovered and became the iconic tourist site it is today. A loosely arranged novel based on the lives of various characters in Prague in the 1960’s and 70’s. The story features love, infidelity, and strong philosophical undertones related to the meaning of existence and the ‘lightness of being’. Skyscanner – This is my go-to site for booking airfares. I love the “to: Everywhere” search feature and the ability to see flight prices throughout an entire month in one click. I usually start my search here then navigate to the airline’s website to buy the tickets. Secret Flying, TravelPirates, The Flight Deal – These sites consolidate amazing flight deals from around the world and web. I follow all three on Facebook so I see alerts when there’s a random $500 roundtrip flight to Hawaii, etc. Only caveat is that you have to be pretty flexible time-wise to take advantage of the deals. Airbnb – ($40 OFF YOUR FIRST STAY) You know this one. Go stay in someone’s home or rental property while traveling. I like to use Airbnb when you’re traveling with someone or in a group. HelpX – An online database of work exchange opportunities around the world. I’ve used HelpX to spend less money while traveling long-term. Hostelworld – I use this site when looking for hostels while traveling. Reviews from fellow travelers are super helpful in narrowing down my choices. Couchsurfing – I love CS. Just make sure you establish ground rules for yourself to stay safe and comfortable whilst surfing. For example, I’ll only stay with female hosts while traveling alone. TripAdvisor – Like the Yelp for the rest of the world. You can check out reviews of a hotel, restaurant, tour, service, etc. etc. before booking.